Even if you are a stranger to this website you should already know my opinion regarding catching catfish and carp. Get out there and try it if you haven’t already. However, we have some amazing native freshwater fish species here in North America and many of the best are utterly ignored by the mainstream fishing media. If you love to catch fish and you live in North America, this list should be your fishing-bucket list. Put down the bass rod for a few weekends and get out there and be prepared to have your mind blown. 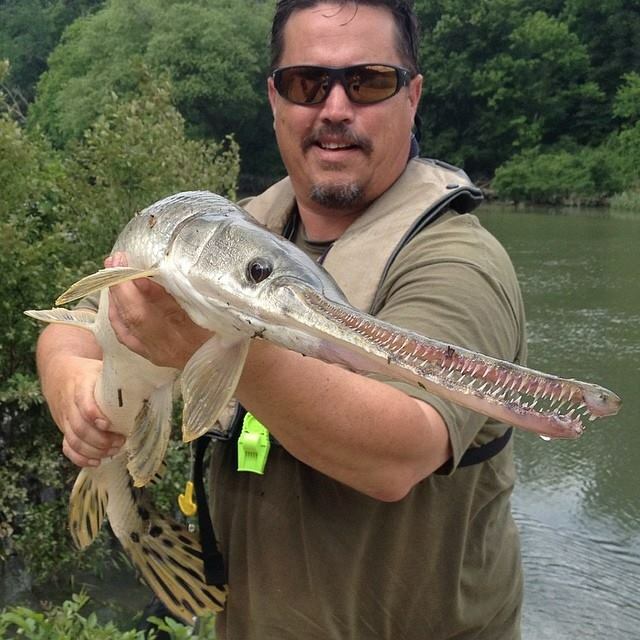 I usually don’t need to convince people that alligator gar should be on their list of fish to catch. You show them a picture and all the convincing is done. These mammoth prehistoric fish are native to the Deep South, with the biggest specimens usually found in eastern Texas and Louisiana. 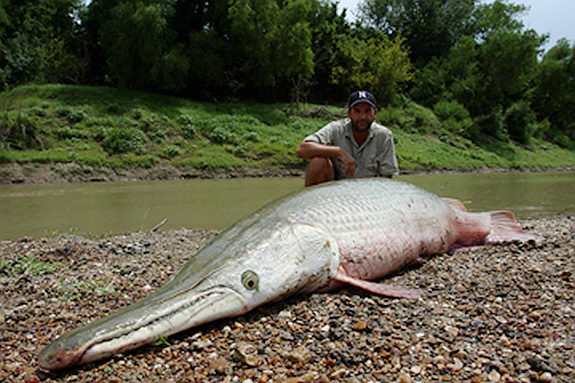 The largest alligator gar ever record was 9’6” long and 365 lbs. These fish are often caught on cut bait using the same tactics that a trophy cat fisherman would use….only BIGGER. White Sturgeon are native to the west coast from Mexico to Canada but there are few fishable populations left outside of the North West. White sturgeon grow very slowly. They take 14-18 years to reach sexual maturity, the spawn only once approximately every 4 years and they can live to be 100 years old. The largest sturgeon ever caught on a rod and reel was caught by Michael Snell of Salisbury, England in the Fraser River, British Columbia. It weighed about 1,100 pounds and was 12 feet, 4 inches. It was released. There are five species of buffalo. Small mouth buffalo, black buffalo, fleshy lipped buffalo, Usumacinta buffalo and large mouth buffalo. Buffalo are not related to carp but are a member of the sucker family and native to North America. The largest of the three buffalo is the small mouth buffalo. The record is 88 lb caught in Lake Wylie, NC by Tony Crawford. 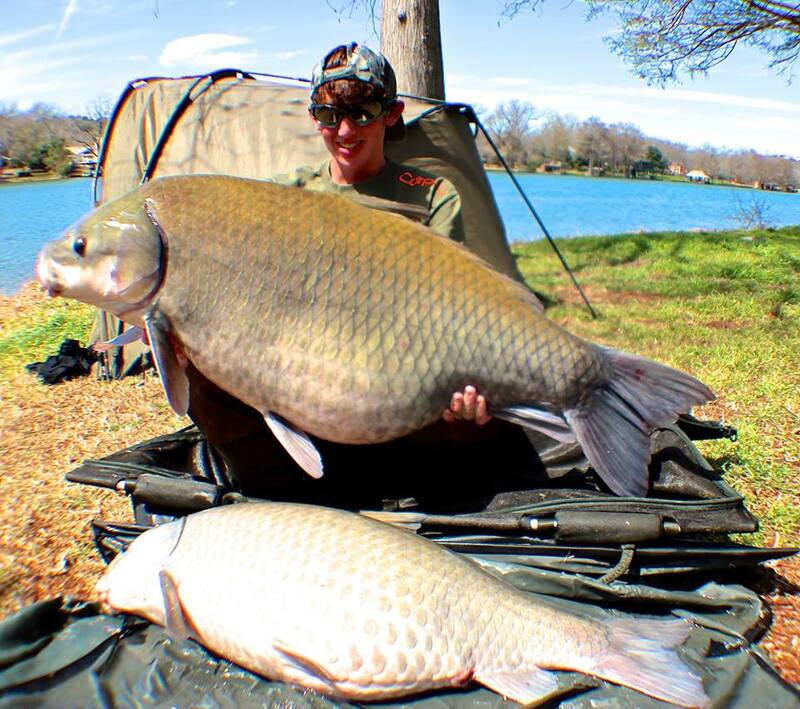 Buffalo can be caught using modern carp fishing tactics and baits. These amazing looking monsters are incredible to see in the water. Because these beasts are mostly plankton feeders most people catch them by snagging. The Largest paddlefish in North America was caught on rod and reel in Montana in the Missouri River by Larry Branstetter. It weighed 147 lb 8 oz and was 77” long. When you catch a long nose gar your first thought is “How badly do I want my lure back?” Those teeth are wicked but worth the risk. Gar a loads of fun to catch. These fish are tremendous predators. 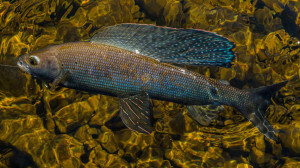 They love minnows and live in backwater creeks and rivers across the south. You can make killer gar lure using nothing but frayed white nylon rope on the end of your line. The frayed rope tangles those teeth and catches the gar better than most hooks would. 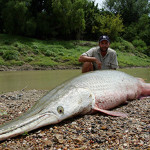 The biggest long nose gar ever caught were 41 lbs from the Red River in Oklahoma and 41 lbs from Lake Panasoffkee Florida. Here is where I begin to show my Alaskan roots. The burbot is the only freshwater relative of the ling cod and it is found in Alaska, Canada, The Great Lakes and they were fished to extinction in the UK. The burbot is a popular fish to target when ice fishing deep lakes and large rivers. It is typically caught on salmon eggs near the bottom. The largest burbot in North America was 24 lbs 12 oz, caught in Lake Louise Alaska. Sheefish are rightly known as the tarpon of the north. They look like a tarpon, they are caught using similar tactics and they fight/jump like a tarpon. 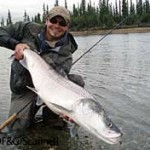 Sheefish are found in central Alaska in the Yukon, Makenzie, Pah and other large rivers. The largest ever was 53lb from the Pah River in Alaska. Grayling are not big fish. They are slightly smaller than the average trout, but they are (in my opinion) one of the most gorgeous fish in North America. Grayling are also extraordinarily fun to catch on a lure or fly rod. A small Meps or Super-Duper on an ultra light is a deadly combo. An elk hair caddis or Griffith gnat will also do the business well. Grayling rise to a dry fly like no other fish. 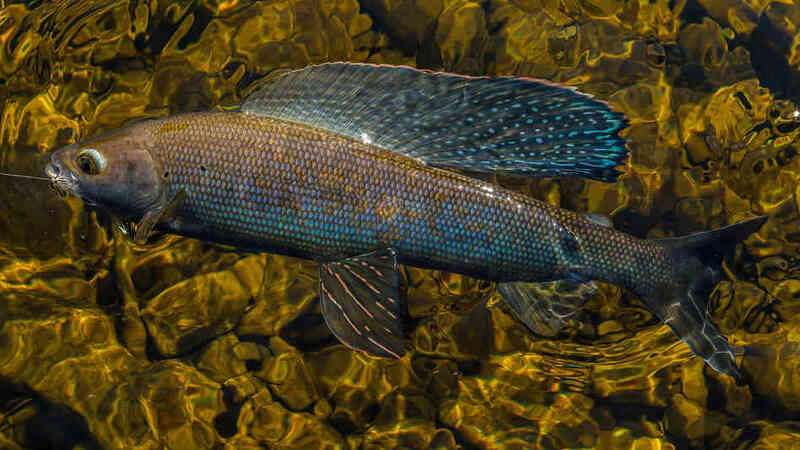 Grayling can be found in high mountain lakes and stream of the west, Canada and Alaska. 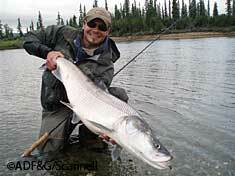 The largest grayling ever was 4 lbs 13 oz and caught in the Ugashik Narrows in Alaska. Freshwater Drum are good sized, plentiful, tasty, and they will hit just about any lure or bait. They prefer clear water with sandy or gravelly bottoms are found along the east coast and parts of the Midwest. The largest freshwater drum was 46 lbs from Spirit Lake in Iowa.